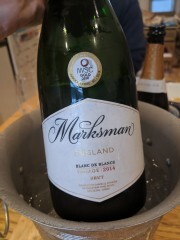 Joe gave me this - I had been wanting to try it, it's Marks and Spencer's own brand ESW, made at Ridgeview. 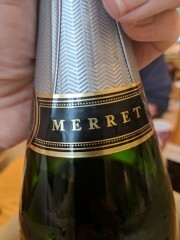 I think Merret was the name Ridgeview had at one time proposed for English Sparkling Wine. 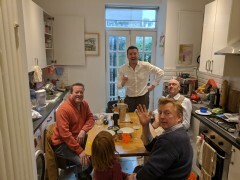 The chaps - Geoffrey, me, Joe and Jeremy. Quite a poignant picture actually, as Joe was going to be moving away from London the following day. 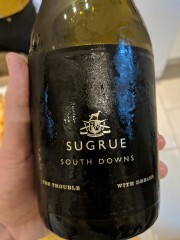 Sugrue, The Trouble With Dreams. This was a present from Geoffrey, Kyra and Alexandra, I absolutely loved this label. ...and it continued on the back! 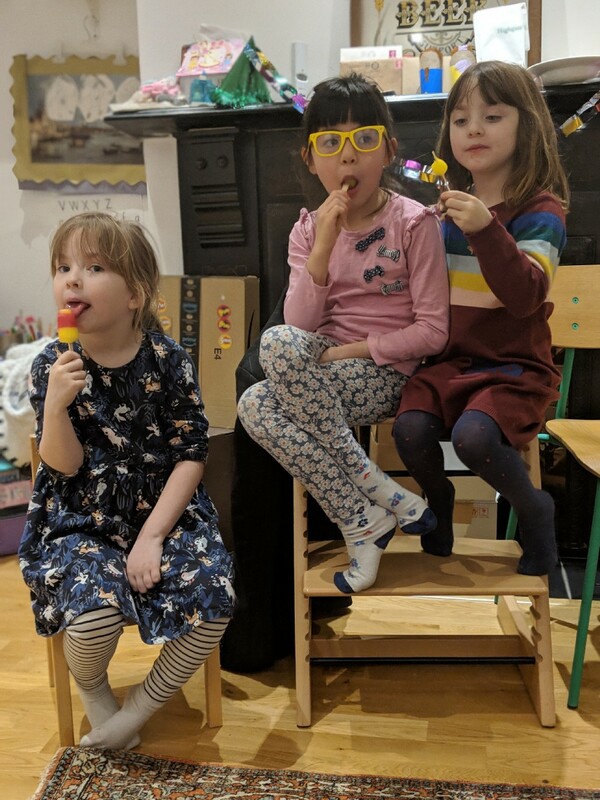 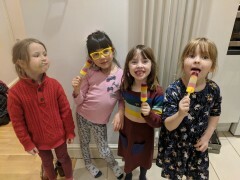 Erika and some of her friends. 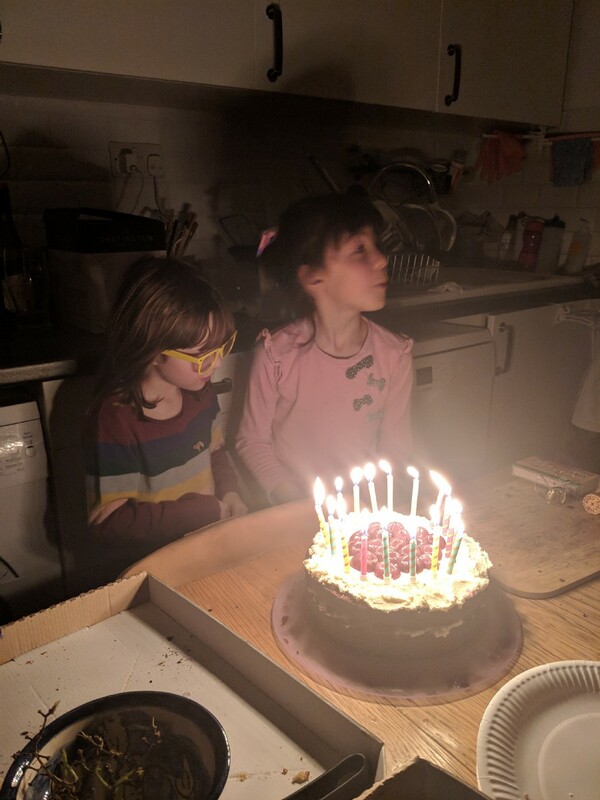 Somehow Erika managed to comandeer my birthday party and turn it into a kid's party as well. Erika and her friends again. Birthday cake - a Black Forest Gateau - which rather impressively was made by Chie while the party was happening. 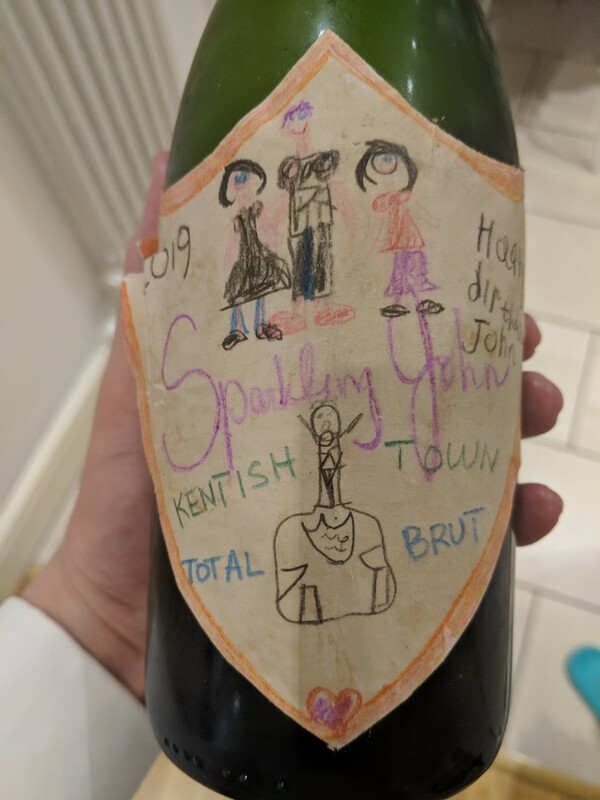 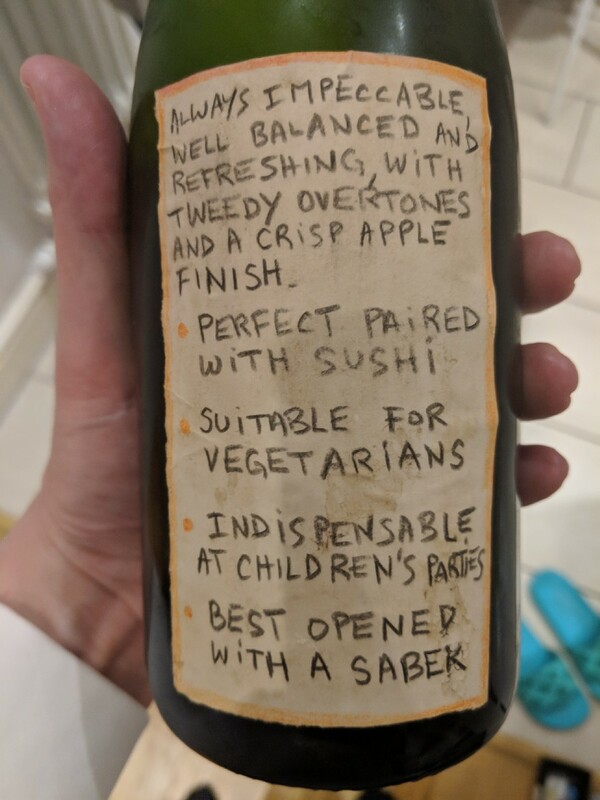 The party had finished by 9pm, but I wanted to catalogue the wines we'd had so took this picture of the empty bottle later. 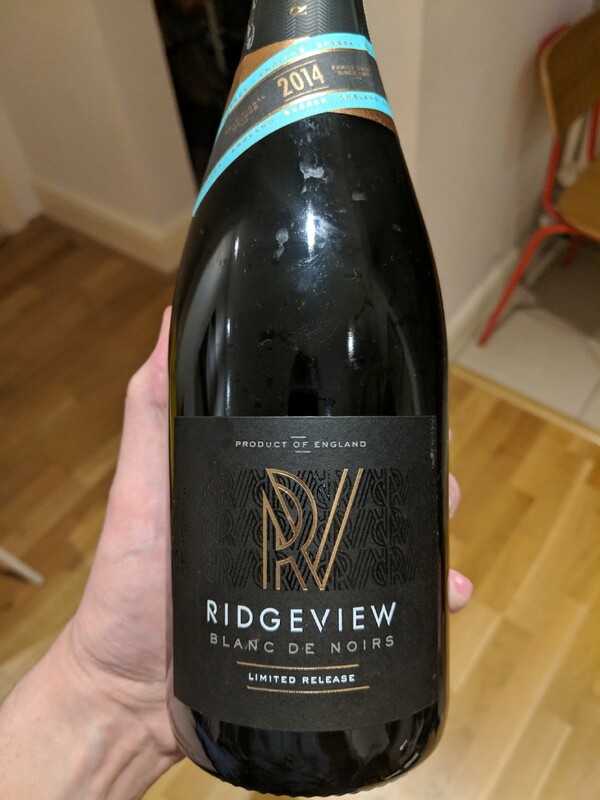 It's a limited release from Ridgeview, a Blanc de Noirs from 2014.